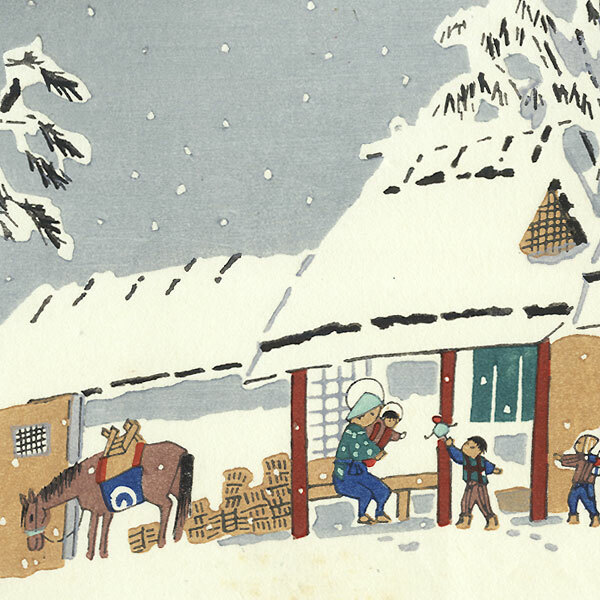 Winter Scenes from the Uchida Publisher Archives - Celebrate the season with winter scenes from the Uchida Publisher archives. We were fortunate to purchase a wonderful collection of 20th century prints directly from the archives of the Uchida Art Company of Kyoto. We've put together a handsome group of seasonal subjects, perfect for gift giving or as a decorative display. 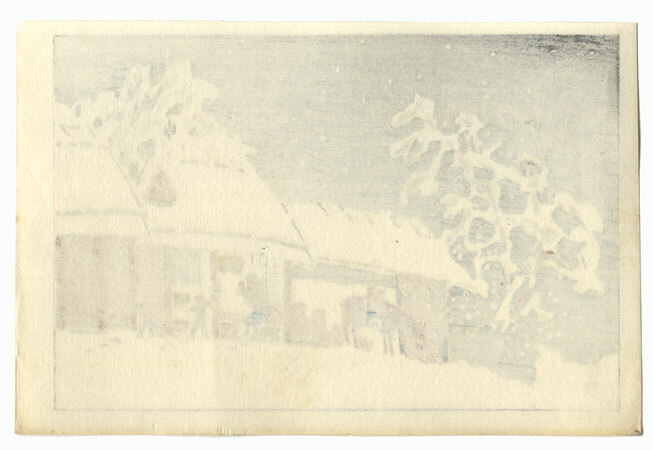 These winter designs are attractively colored and detailed, with subjects ranging from snow-covered landscapes and temples under falling snow to children sledding and geisha enjoying a winter stroll. A charming group from which to choose. Don't miss out on these prints, once they sell out, we won't have them again! Holiday Greeting Cards - Choose from this fun and interesting group of mid-twentieth century prints originally designed for use as holiday greeting cards. 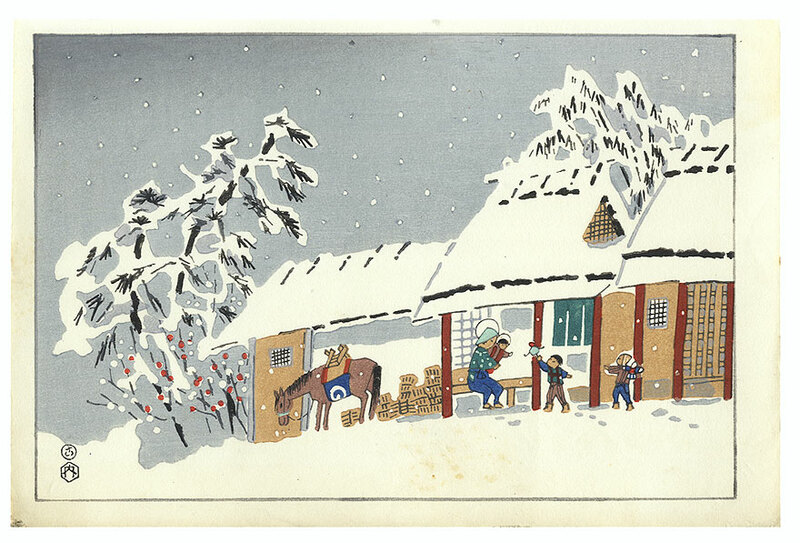 These attractive Japanese woodblock prints include winter landscapes and city scenes, as well as traditional Christian imagery such as the Nativity, presented in a culturally Japanese way. For example, Mary appears as a Heian era beauty in one design, while she wears the peasant costume of Ohara Village in another. A few subjects are designed to fold in quarters, while most are single panels. Some feature the Uchida Publisher seal. Capture the magic of the holiday season with these lively and unusual designs! Condition - This print with excellent color and detail, as shown. Some light toning. Please see photos for details. Nice overall.